Permanent positions within medical organizations offer potential career security and stability without the need to shuffle from one location to another. By accepting a permanent position, you don’t have to worry about adjusting to new electronic health record systems, regional differences, and various teams of doctors. Instead, you can develop long-lasting relationships with patients and staff while putting down roots. However, just because a job is stable doesn’t mean that it’s the best possible fit or that it should be your “forever” placement. With any medical career, there are often overwhelming responsibilities that are completely removed from patient care. Administrative tasks and paperwork are some of the most significant stressors for a physician. 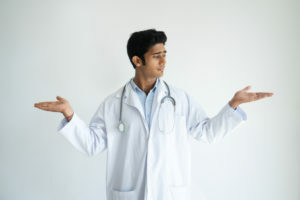 Locum tenens work once carried a reputation for being unpredictable and unstable. The constant movement and change can indeed add stress for some people. Longer assignments in certain locations could pull you away from your family. Thankfully, you can choose to reject these types of positions, opting for a more favorable duration and location. For the right person, the freedom of locum tenens work is valuable, especially when you are still discovering your ideal practice environment and dream location. Locum tenens physicians have the freedom to deliberate about their professional goals, and since they dictate their schedule, they can have more time for themselves and their families. Independence from the administrative demands of a permanent practice or position also allows more time to connect with each patient. Locum tenens physicians are exposed to many types of practices, which provides several advantages. Physicians can sample potential work situations without permanent expectation, enhancing their résumé; this varied and extensive experience can be very attractive to future employers. To learn more about the advantages and opportunities you could experience as a locum tenens physician, call 855.301.0563 to speak with an experienced recruiter at Medicus Healthcare Solutions.